Jack Latchinian has been directly involved in optical surface metrology since 2008 and joined 4D Technology as the Western Region Manager in 2013. 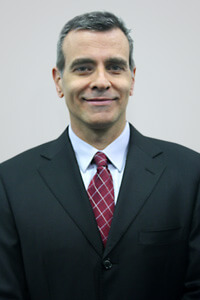 Jack graduated from the University of La Verne in 1992 with a Bachelor’s of Science degree in Optical Engineering. He started working for Physical Optics Corporation in Torrance, CA, in 1993 as an optical engineer, working in holography and later with the production of Light Shaping Diffusers. After Physical Optics, Jack worked for Melles Griot (Photonics Group in Irvine, CA), transitioning responsibilities to Sales and Marketing and becoming a Regional Sales Manager for the Photonics Group. 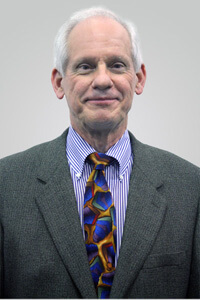 He has also worked for ADC Telecom (St. Paul, MN), Optoplex Corporation (Fremont, CA), Auxora (Baldwin Park, CA), MEMS Optical (Huntsville, AL), and Zygo Corporation (Middlefield, CT). Jack has been an active member of the Optical Society of Southern California (OSSC) for many years, and has been an OSSC officer since 2009. Greg Maksinchuk has worked in optical metrology for over 20 years, with expertise in both large aperture and surface profiling metrology systems. He started his career in optics at WYKO Corporation, staying with the organization for 15 years as it transitioned to Veeco Metrology and later Bruker Nano-Sciences. Greg’s diverse background includes field service/technical support, product management (both marketing and engineering), design/test engineering, and sales/applications. 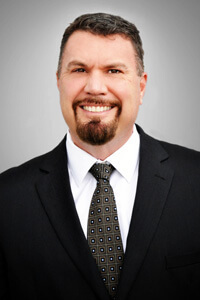 Greg received his BS degree in Mechanical Engineering from Northern Arizona University in 1994. Mark Boehm joined 4D Technology with a long history of sales success in electro-optics and instrumentation. 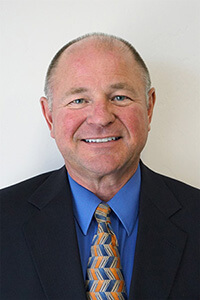 Mr. Boehm's career has included sales engineering and management positions with Laser Photonics, Coherent, Melles Griot, Zenestra, Perkin Elmer, HORIBA and Princeton Instruments. His experience ranges from lasers to planar waveguides to spectrometers, and he has honed the ability to work with clients with all levels of technical expertise, from line technicians to CTOs. Jeff Brown brings 22 years of field applications, sales, and service experience in surface metrology used throughout production, failure analysis, and R&D in various industries. Prior to joining 4D Technology in 2017, he was Regional Applications & Sales Manager for Taylor Hobson (2007-2016), Olympus Industrial Microscopes (2005-2007), and WYKO Corp (1995-2007). Jeff offers direct field experience in the sales, operation, training, and servicing of a wide range of optical non-contact and contact-based instruments used for characterizing surface defects, roughness, waviness and form. Jeff received his BS degree in Optical Engineering from the University of Arizona in 1994. 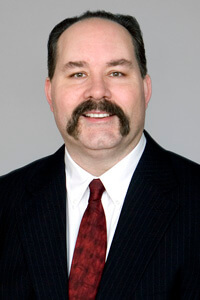 Don Roberts brings extensive sales and support experience to 4D. Prior to joining 4D Technology in 2007 Mr. Roberts held sales/support positions at KLA-Tencor, ADE Phase Shift and Zygo Corporation. Don maintains an intimate understanding of the metrology needs and applications requirements of all his customers. Steve Martinek brings to 4D Technology over thirty years experience in optical engineering, surface metrology, product development and marketing. 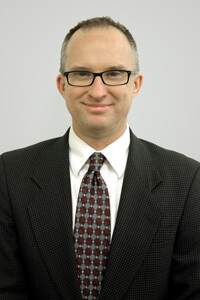 He joins the company following 15 years with WYKO Corporation (now a subsidiary of Bruker, Inc.) where his responsibilities included product management for various interferometer systems, applications and product development, manager of technical and customer service, and sales and marketing. During his seven-year tenure as VP of International Sales, Steve managed a network of 16 distributors representing WYKO in 25 countries in Europe and Asia. Prior to WYKO, he was employed by the TRW Space and Technology Group were his experience included analysis and testing of satellite based optical systems and by Pacific Sierra Research performing system analysis, test planning and ground tests of defense optical systems. Steve received degrees in Physics (BS – 1973, MS-1975) from the University of Illinois and an MS (1980) in Optics from the Optical Sciences Center at the University of Arizona.